Dealing with dry, damaged hair? Winter air naturally puts pressure on strands, resulting in stress and breakage. When the arid air of the cold season hits, visiting the hair salon for scalp and conditioning treatments is a convenient way to revitalize your locks. The stylists at Norwich CT’s Create-A-Cut Hair Designers are experts at creating the ideal haircut, color, and style for every client who walks in. If you want to strengthen your strands, stop in for a hydrating service today. Efficiency: Adding life to your locks doesn’t have to be complicated. Each conditioning treatment takes less than 10 minutes, and it can easily be combined with another service for maximum efficiency. If you’re stopping by for fresh hair color, simply add a conditioning treatment and reap the benefits of both in a single visit. Environmental Protection: Environmental conditions—especially extreme temperatures—cause uncontrollable damage to the hair and scalp. If you use heat styling products daily, your hair is even more susceptible to dryness, split ends, and breakage. Conditioning treatments get to the root of the problem to deeply nourish individual strands, protecting your hair from the elements. Nourish the Scalp: If you’re craving long, thick locks, remember that healthy hair starts at the scalp. While a regular haircut or trim eliminates pesky split ends, conditioning treatments nourish and hydrate the scalp, providing a healthy base for new strands to grow out long and strong. If you’re suffering from itchiness or dandruff, the treatment will also provide welcome relief. Gain Healthy Ingredients: The ingredients found in scalp and conditioning treatments include oils such as coconut, olive, and peppermint, which provide antibacterial and anti-fungal benefits to the scalp. 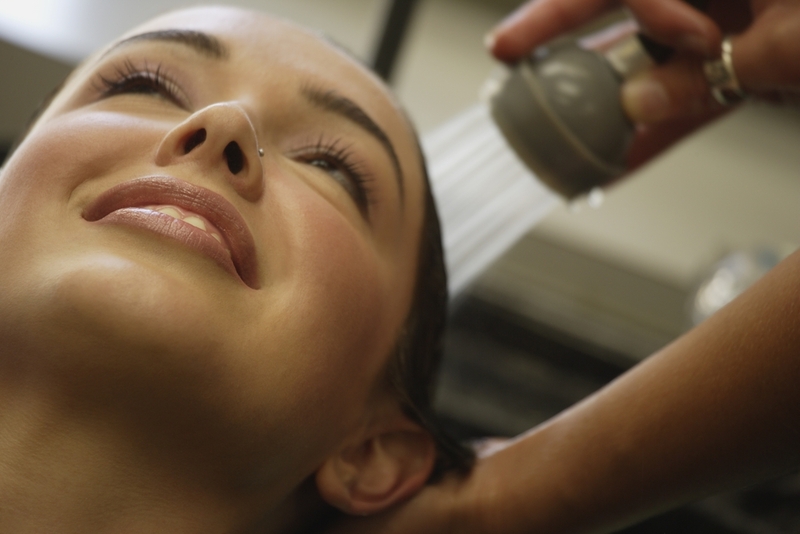 The next time you visit the hair salon, take 10 minutes to enjoy a treatment and eliminate damage. Enjoy Clarifying Benefits: If you frequently use products such as gels, sprays, or mousse, these are naturally going to build up on your scalp for a greasy, unattractive appearance. Treatments rinse excess ingredients out of your strands and scalp to open the hair follicle and promote growth, as well as a shinier, more lively look. If you want to revitalize your hair and scalp for healthier locks, look no further than Norwich’s top hair salon. The experienced stylists at Create-A-Cut-Hair Designers will create your ideal hair color, cut, and style, along with providing scalp and conditioning treatments that bring new life to your look. Visit them online for more information, follow them on Facebook to stay up-to-date on special offers, or call (860) 889-2979 to schedule your appointment today!